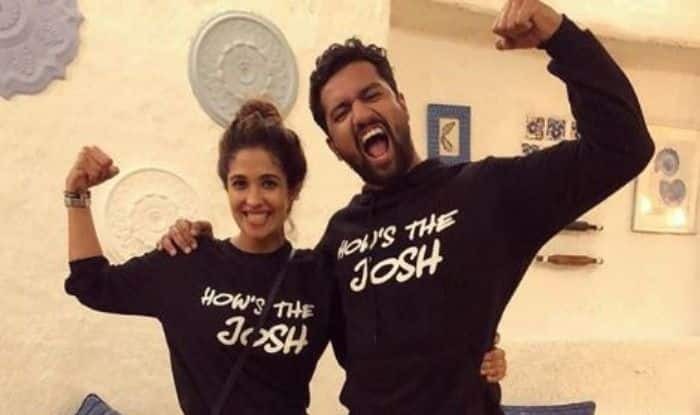 Vicky Kaushal And Harleen Sethi Call Off Their Relationship Because of Katrina Kaif? One of Bollywood’s most versatile actor Vicky Kaushal who is busking on the success of his last release Uri: The Surgical Strike kickstarted his 2019 with a bang. While he is doing great professionally, there is not much information about his personal life. Speculations are rife that the actor is dating television star Harleen Sethi but none of them have confirmed the same. Reports have been doing the rounds that Vicky and Harleen have called it off and the latter has even removed Vicky from Instagram. But now, reports suggest that they are still together. Earlier, reports suggested that Harleen found Vicky double-crossing her with Katrina Kaif and called off the relationship. A source informed Bollywood Life that their relationship is going through a rough patch but it is not over. “It is true that the couple’s relationship is going through a rough patch. They are working on some issues. However, it is not over between them. Vicky and Harleen have kept their personal life private so far and are amused by these stories of Katrina Kaif driving a wedge between them. Yes, there are problems but that’s part and parcel of every relationship,” said the source. Both Vicky and Harleen have not opened up about their relationship but the former did mention on Karan Johar’s chat show that he is in a relationship. “It’s a new relationship, but it is very serious,” said the Masaan actor. On Valentines Day, Harleen even took to her Instagram to share a picture of two wine glasses with some kind of chocolate drink in it. This lead to further speculations that Vicky and Harleen celebrated their Valentines Day together.